During the Christmas season I find myself wondering about the non-essentials of Christ’s birth. I think it must be the mommy in me, because I never asked such questions before my children were born. I wonder how long Mary labored. I wonder what the weather was like that Middle Eastern night when Mary and Joseph entered the City of David. Since the shepherds were outside with their flocks, it couldn’t have been too crisp an evening. I wonder if it was actually hot. I wonder if Jesus was born in the evening or in the wee hours of the morning. I wonder if other women came to help her, or was it only Joseph by her side. I wonder if Joseph remained calm. I wonder if Mary and Joseph felt twinges of misplaced guilt about laying down the Son of God in an animal trough. I wonder if baby Jesus sucked in His first earthly breath and exhaled with a blustery cry. I wonder what Jesus looked like as a baby. Was His skin robust and pink? Was He thin or pudgy…long or short? Did He have a head full of black curly hair, or was His hair straight, shaggy and a shade of dark brown? Perhaps he was born without hair. I cannot imagine a bald baby Jesus, but it is possible that He was. 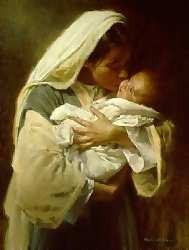 I wonder what words Mary first whispered to her firstborn son. I wonder if Mary gave her newborn a nickname or if she only called Him Jesus. I wonder if Joseph carved presents for Mary and the boy he would raise as his own. I wonder what Jesus thought. Did His earthly body immediately possess the mind of a divine being, or did that come later. I wonder if the animals knew that they shared their home with their Creator. As I wonder about the unknowns of that most holy night, a thin layer of mist fills my eyes as I remember with wonder what I do know as truth. Awe captures my breath as I visualize the Almighty God being born a poor baby who would become the ransom for the souls of every man and woman. How amazing is that grace of which I am in wonder. Mmmmmm??? Yes there are many things to ponder and wonder and much of it is wonderous. I think that is the Mommy in you for sure. I have wondered similar things. I pray there were women with her -- maybe some women from the Inn. Can you imagine Joseph being the only person there to help her? Oh my. Perhaps we will know the answers to all of these questions someday. What a tender heart you are, my friend. I think you should research a lot of these and write a book from a mom's point of view. I so very much love this post. Yes, I have wondered many of these things. Beautiful post. What a WONDERful post. I have wondered similar things. We know so little about Jesus' early days. I'm just so happy he came. The sermon today took kinda the same slant as your ponderings. It has given me lots to think on. I remember Christmases when my girls were tiny babies...rocking them, smelling the sweetness of their heads, thinking of how Mary must have felt to hold Him, to smell Him, to plant soft kisses on His tiny head. What beautiful thoughts you have allowed us to ponder with you tonight. Beautiful post. I find myself having very similar 'wonders' at Easter. As a mom, I can't imagine the faith of this woman but as a Child of God, I am so incredibly thankful that she trusted so completely. Merry Christmas! Beautiful wonders! I wonder how I would have handled it if I had been told I was pregnant with God's son?? I mean, yeah, right!!! But Mary was so faithful and obedient. God knew what he was doing when he picked her. It's such a beautiful story, and it's all about wonder, all about faith. Your faith is so inspirational! Beautiful. Yes, I've wondered at many of these things since I've become a Mama myself. One of the many things to look forward to Heaven for. Great thoughts. I have been wonding much of the same. Have a blessed celebration of the Birth! I, too, have wondered these things. It is so hard for me to fathom my Lord and Saviour coming to earth in such a "human" way. He is so divine and awesome to me its difficult to see him in his human state. Well written my friend. I have wondered those same things many times. It is a good thing to wonder - because then we are seeing it as something real - instead of a far off story. I think part of it is the mother in us. WE have gone through child birth and we relate to Mary. Thank You for stopping by my site, and I do hope you will come back again soon. God Bless you, And Merry Christmas. Very good questions. I wonder now myself.. This is a beautiful post. Blessings to you this Christmas. I have often wondered many of the same things...just another reason I can't wait to get to heaven! I was just reading through your site and saw your blurb about “guilt-free reading.” All I can say is “thank you” for that. It took me by surprise to see that blurb on your sidebar. No coincidence, I’m sure. I may steal it…just kidding. I do need to print it and laminate it on my forehead, though. Thanks again. You blessed me today. I am looking forward to asking those questions in heaven one day! What a BEAUTIFUL post friend. Praying, that your Christmas celebration..is BLESSED beyond measure. Amazing grace...I am so thankful that we know that much. This was beautifully written. Thank you so much for coming by to visit my blog! I have wondered many of these things too. I love these thoughts. So many things to think about in addition to the miracle of Jesus being born. Great post. I came over from Kylie's site. You have a nice blog. You always have such thought-provoking posts! I must say, these kinds of questions never really occurred to me but they are very very interesting. Wouldn't it be fun to know? Thanks for giving me more food for thought! Too often Christians have a tendency to think of Christ's birth as a story and find it hard to visualize what it might have really been like. Sure we believe the miracle of the birth, but we have a hard time "bringing it home." Thanks for helping us make the birth a little more real in our lives. Blessings and Merry Christmas! btw cThanks for your encouraging words! Thanks for sharing. I have thought about His "birth" a lot tbe past few weeks. Lovely post! It's all so amazing, isn't it? This is my favorite post not just of yours but of all posts. So many people gloss over the birth, the details and never even think about the reality of such an amazing birth. I wrote a poem about it when I was pregnant with my daughter, like you I was consumed with wonder. Can you imagine the anxiety/ the weight of birthing Jesus? She was one tough cookie. You sound like me. I am always wondering about something...Guess we aren't suppose to know these things. It's fun to imagine the possibilities though. Loved reading your list. Whatever the scene was it was the one of most beautiful moments of history. Jesus, our savior, born. God in human form. His life and its miracles still to come. His death and resurrection. I enjoy hearing from you from time to time. Thank you for your friendship. 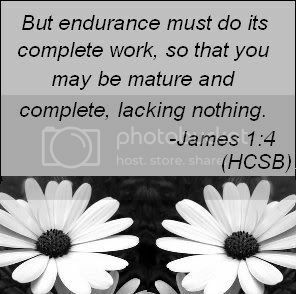 May God continue to use your blog to encourage others. I've wondered so many of those thoughts too. I appreciated reading them today. Your posts always inspire me so much and make me ponder the scriptures.! I've found myself pondering these things, too. Definitely related to the mommy thing.